Lovely single level Sun Oaks Home! Nice 1988-built DeCarlow home with spacious layout, lots of hardwood flooring, updated granite and stainless kitchen, large living/dining space with gas fireplace, office with built-ins, skylight, ceiling fans, and a comfortable floor plan. Pretty, easy-care landscaping, nice covered patio, large double garage with separate golf cart bay or small shop with roll-up door access, quiet cul-de-sac location--this one is a keeper! 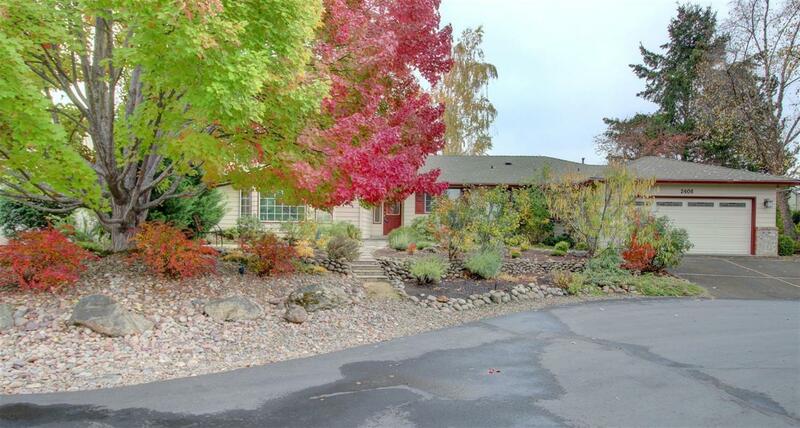 Sun Oaks is a private, tucked-away Medford community with lots of amenities includes two swimming pools, club house, spa, basketball/ tennis courts and some RV parking.